If all your nodes or edges have the same color, it is difficult to distinguish them without looking at their individual properties. A great way to solve this is to color the nodes according to a certain category or property. 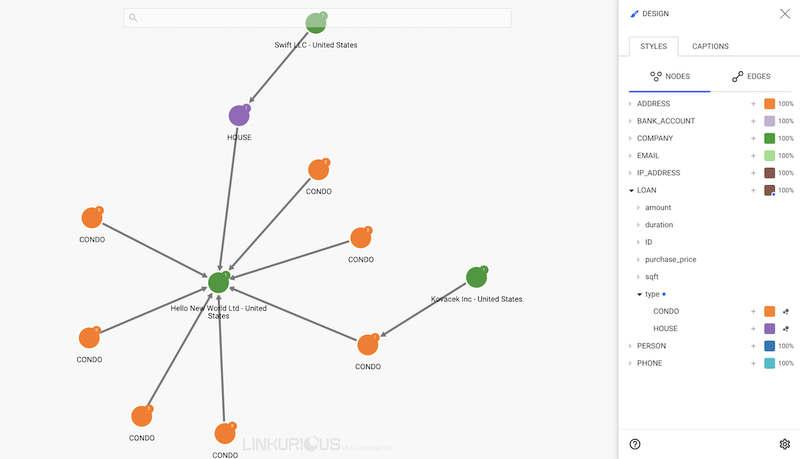 For example, our nodes with category Company may have a Country property that we would like to highlight; Linkurious Enterprise enables us to color the nodes according to a particular property, here Country. 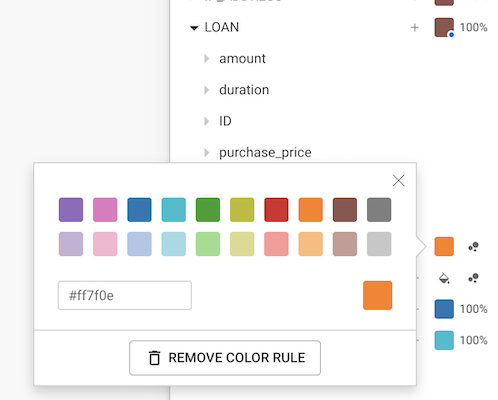 This way, a French and a German start-up will have different colors despite having the same category; it will be easier to distinguish them visually. In the picture below, we see that the start-up Twitter is connected to many investors. At first glance we have no idea where these investors are coming from. Let's open the Design panel on the right corner of the screen and hit the Styles tab. We can see all the node categories and, clicking on them, we can see their properties and property values. All the nodes that do not have the property or none of the values for which we applied a rule will remain with the color of their category.